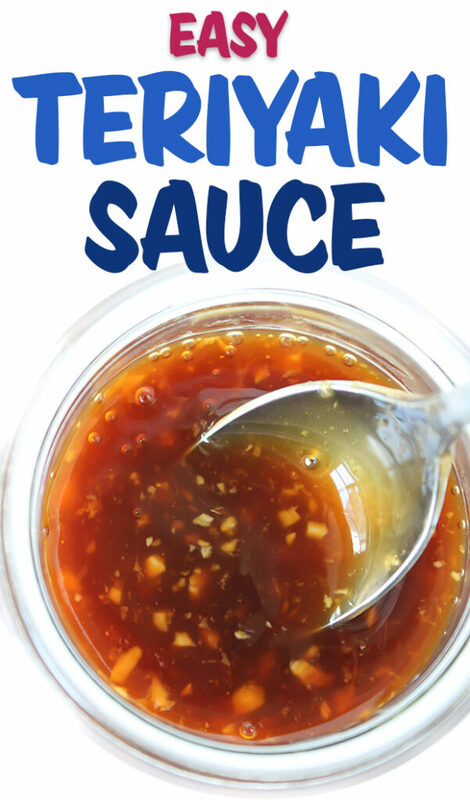 This is one of my favorite sauces and it only takes about 10-15 minutes to whip up so let’s get this flavor party started! 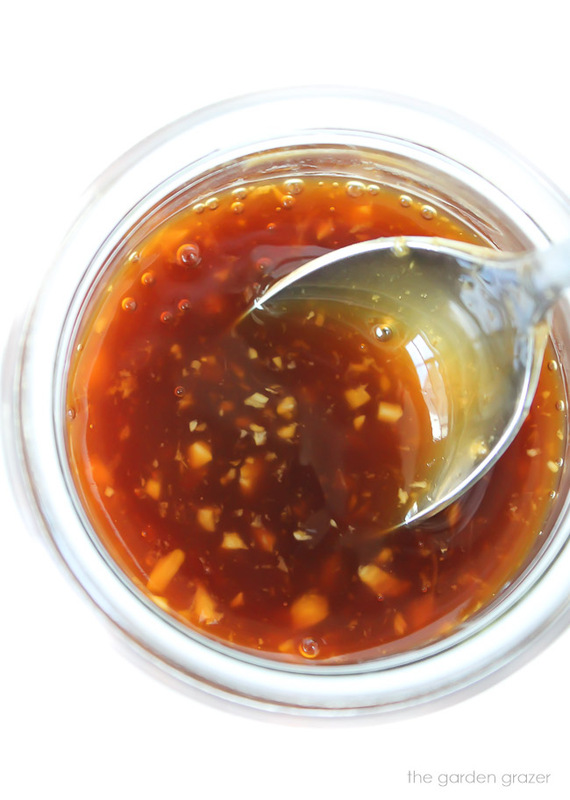 Teriyaki is a great all-purpose Asian sauce for marinating, stir-fries, rice bowls, etc. If you’re brushing it over veggies or tofu, simmer in pan to thicken first as the directions show below. Otherwise, if using for stir-fry, simply mix sauce ingredients together in a bowl, then add to the wok/skillet towards the end of your stir-frying to let thicken with your other ingredients. It’s sticky, sweet, savory and all kinds of delicious! 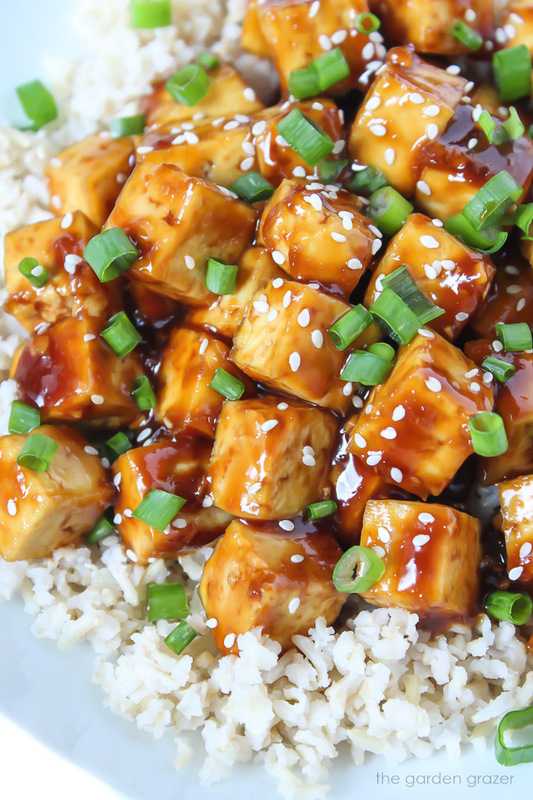 One of our favorite ways to use it is this simple Teriyaki Baked Tofu shown below. (So good!) Would love to hear your favorite ways to use Teriyaki sauce as well! 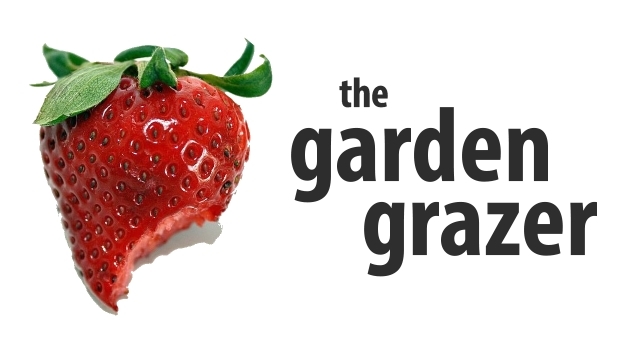 Come join The Garden Grazer on Instagram 🍓 and share a photo if you give this a try! I always love seeing your recreations. 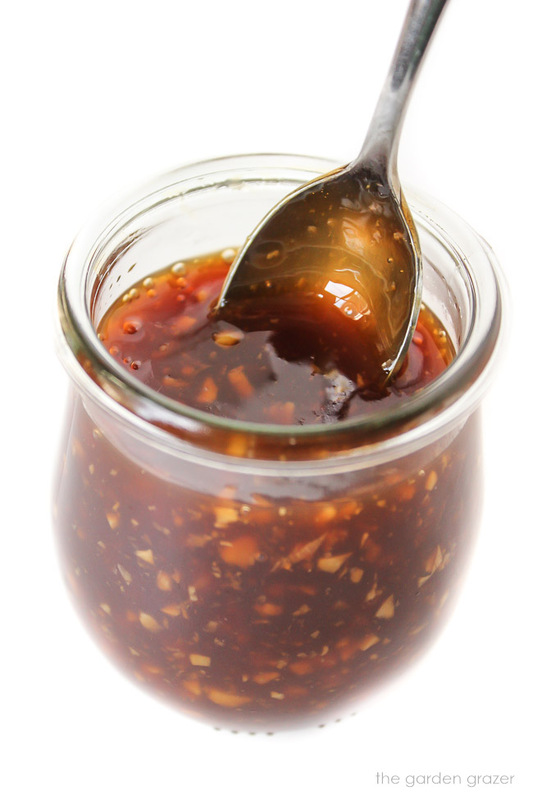 Homemade Teriyaki Sauce with garlic and ginger! Sticky, sweet, savory, and only takes about 10-15 minutes to whip up! Place all ingredients in a bowl and whisk well to combine. Add to a small saucepan over medium-high heat. Heat until sauce is lightly simmering, whisking frequently until thickened. 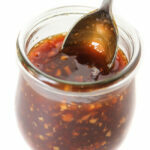 Use immediately, or cool and store in a sealed container in the fridge for about 1 week. Recipe yields about 3/4 cup after thickening. Stir-fry option: whisk all sauce ingredients in a bowl, then pour right into your skillet towards the end of cooking your stir-fry. Stir well to combine and let heat for a few minutes, stirring often, until thickened.